For those of you willing to endure cooler temperatures, late season hunts at Thunderstik and Rooster Ridge Lodges can be a blast! The dogs love the cool temperatures and the birds concentrate in thicker cover. It's different than a fall hunt but we offer great pricing and you'll probably have the lodge to yourselves. 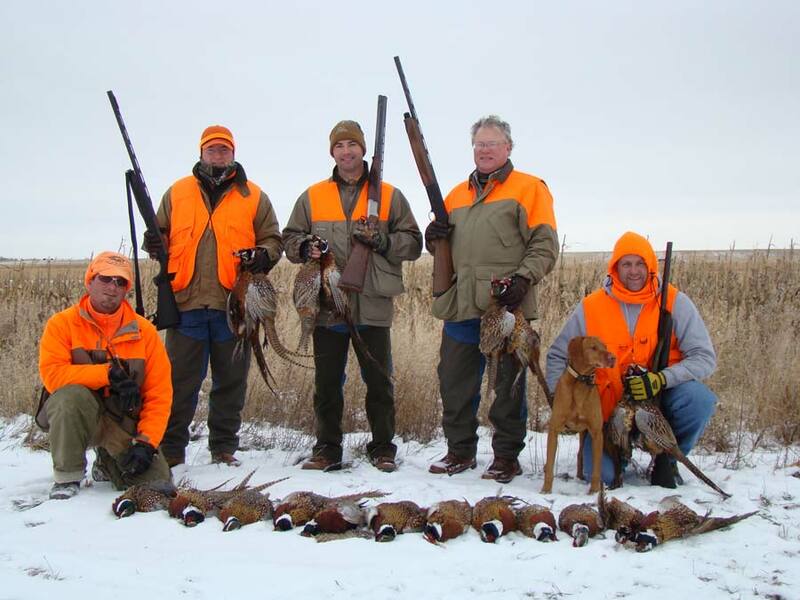 Late season pheasant hunting packages are all inclusive and can be customized for your group. Plan Your Late Season Hunt! Spend a brisk spring day in the field pheasant hunting and return to the lodge and enjoy a cocktail by the fire or relax in the outdoor whirlpool. Spring is a great time of the year to be in South Dakota for some pheasant hunting! We also offer December, January and February hunts for those of you that like pheasant hunting in frigid temperatures. There is nothing like chasing roosters with a fresh blanket of snow on the ground!